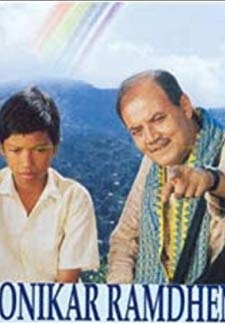 © 2018 Scratchu.com Ride on the Rainbow | Bishnu Kharghoria, Ronik, Moloya Goswami, Dinesh Das, Reba Phukan, Mahika Sharma - Ride on the Rainbow (2003) | Assamese Movie | 8.5/10 | Synopsis : 11-years-old boy Kukoi who runs away from his village home and starts working in a motor garage in a city. One day the owner attempts to molest Kukoi. In self-defence, Kokoi hits the owner ... ... Watch Online!! !